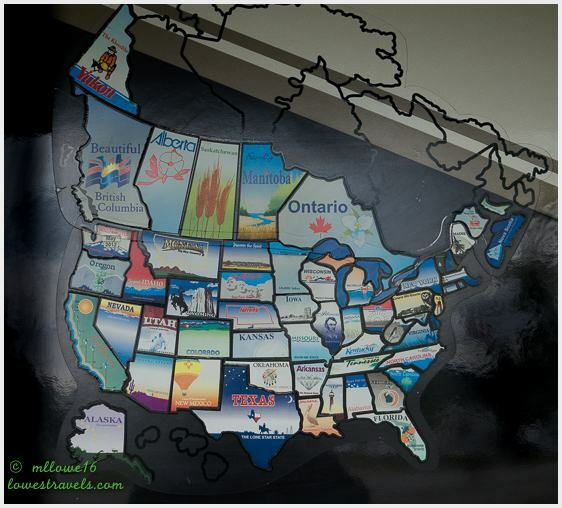 After filling ourselves with Lobstah and hugging Maine’s coastline, we began our journey southward, making our next stop Boston, Massachusetts. 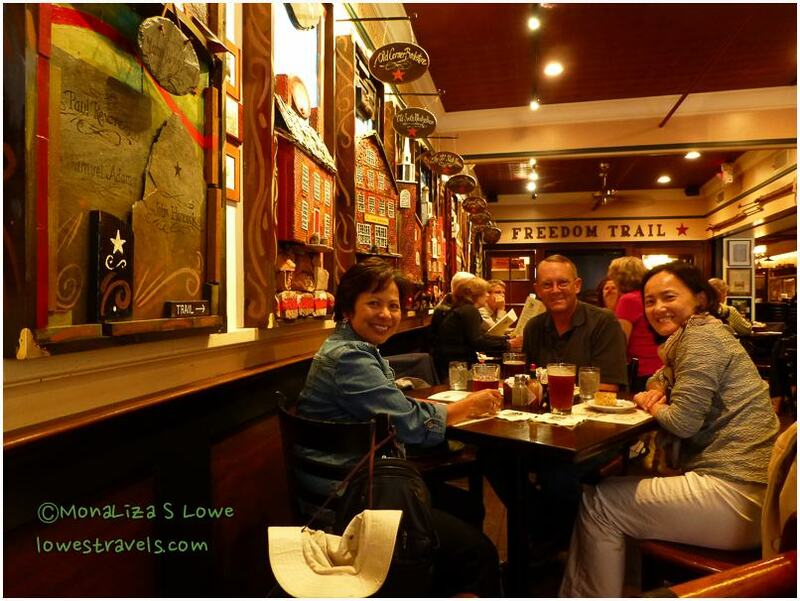 Our friends Don and Lisa had lent us a documentary entitled “America, The Story of Us”, which portrays more than 400 years of American history . The first two episodes tell the story of the beginning of America in the 1600’s, including the subsequent American Revolution in the struggle against British rule in the 18th century. 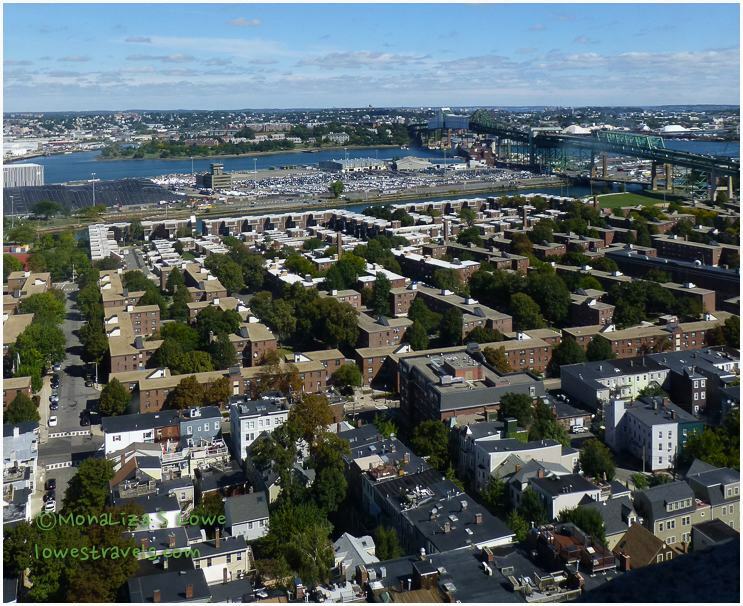 History buffs know that Boston became a focal point of revolutionary activities during that time. We recommend this DVD set to anyone traveling this way and trying to bone up on American history, as we’ve been doing. It helped to “fill in some holes” in our learning and was helpful and entertaining. 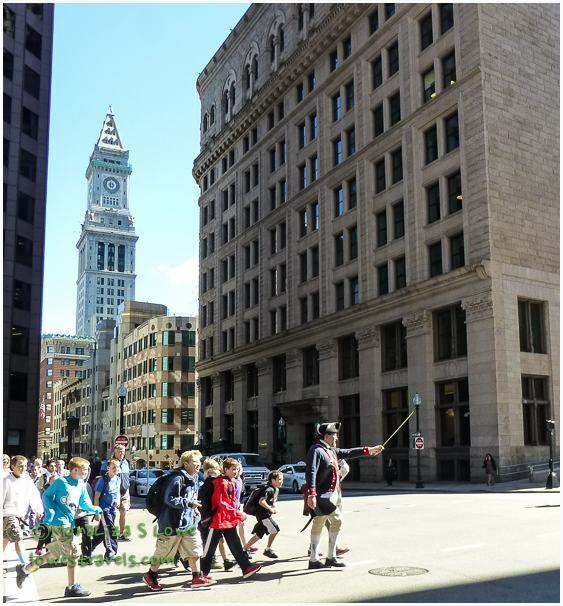 Traveling back through Revolutionary Boston would take several days of walking around the city because of the large number of historic landmarks and monuments. So, we hopped on a city tour one day and then experienced the city on foot the next. Not nearly enough, but a pretty good way to get a cohesive story of an exciting historic period. Following the Freedom Trail, created in 1951, is a good way to discover Boston’s historic sites amidst its currently bustling cosmopolitan. It’s a 2.5-mile trail that led us to scenes of critical events in Boston and the nation’s struggle for freedom. It really highlights the city’s role in laying the foundation for the new USA. I’ll try not to bore you with tedious history you probably know, but rather a few highlights we observed. The DVD documentary taught us a lot about Paul Revere (The Midnight Rider), the Boston massacre and the Revolution’s first major battle at Breed’s Hill. The Brits were called Redcoats then, and although we aren’t historians we were glad to be armed with this tidbit of knowledge when we hit Boston for more learning and fun. We stopped by Copp’s Hill, the second oldest cemetery in Boston, where several people buried there were born during the 16th century. A grave marker, circa 1661! 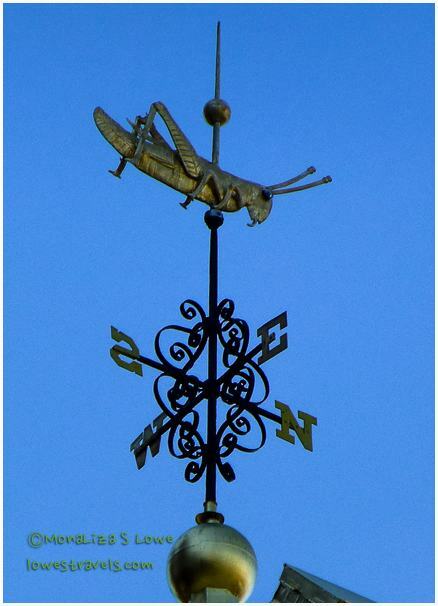 On the roof of Fanueil Hall (often referred to as the cradle of liberty) is a grasshopper weathervane – the only part of the hall which remains unmodified from the original 1742 structure. 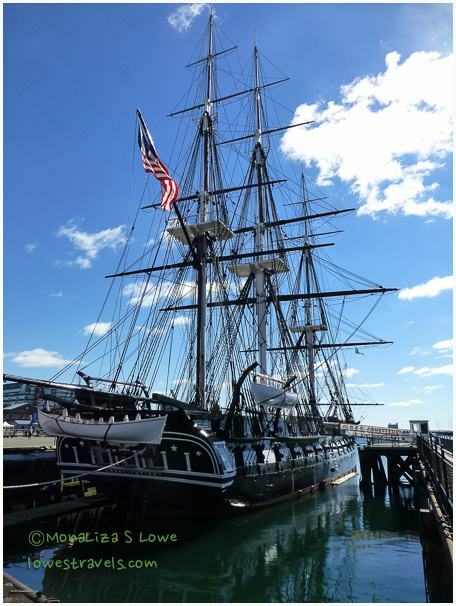 Also known as “Old Ironsides”, the USS Constitution was put to sea in 1798. It is the oldest commissioned warship remaining afloat in the world and has been renovated, refurbished, and repaired many times. Since it is still a commissioned vessel, it is staffed by U.S. service personnel and security check is required for all visitors. It was strange to see uniformed Navy folks guiding tours around a ship with dozens of canon on it, as if it were a modern destroyer. But this ship remains a symbol of America’s rich naval history. 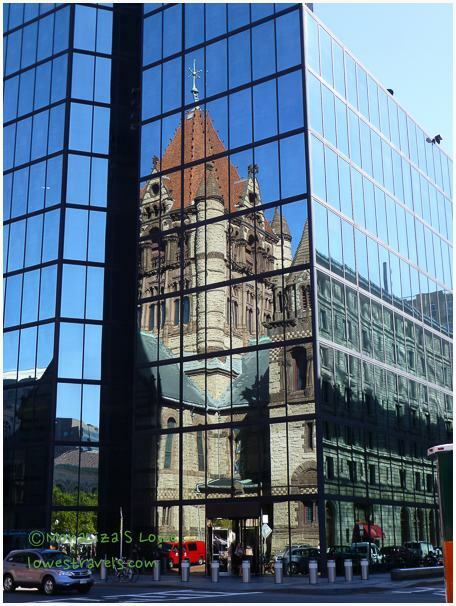 On the other hand, Copley Square was a unique architectural delight featuring old and new. Standing in the square, we were in awe of an eyeful of buildings in a variety of styles. 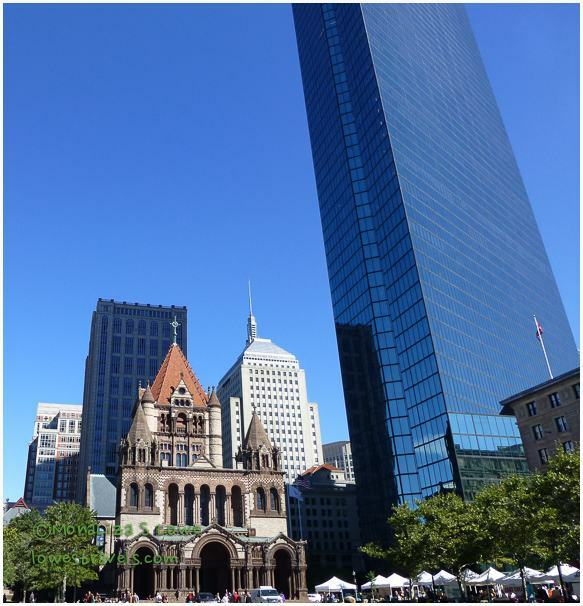 The tallest building in New England is the John Hancock Tower, which sits across the street from the Trinity Church, which was built between 1872-1877. The church is the most prominent landmark in Copley Square. The new Hancock Building towering over the old Trinity Church at Copley Square. Reflection of Trinity Church on the Hancock building. Across the square from the Trinity Church is the Boston Public Library, built in 1895. It is the first publicly-supported municipal library in America. 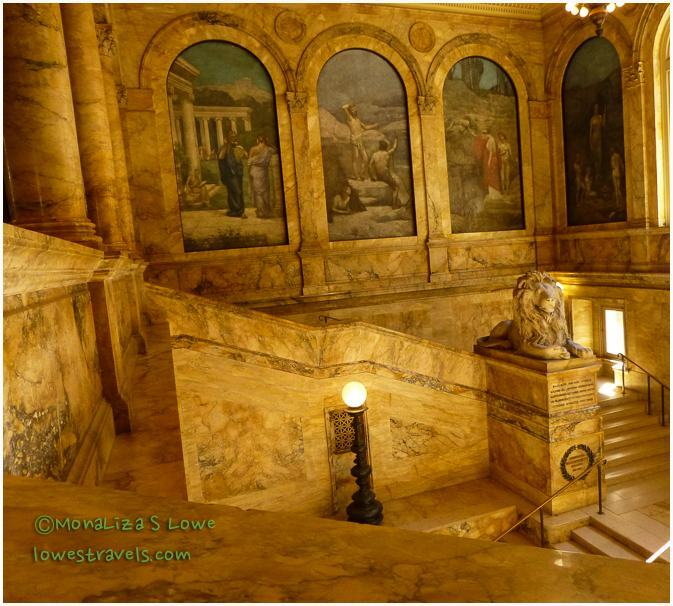 We were wowed the instant we walked into the vestibule and then the entrance hall, which contains a magnificent marbled staircase (and we don’t use the word “magnificent” very often). 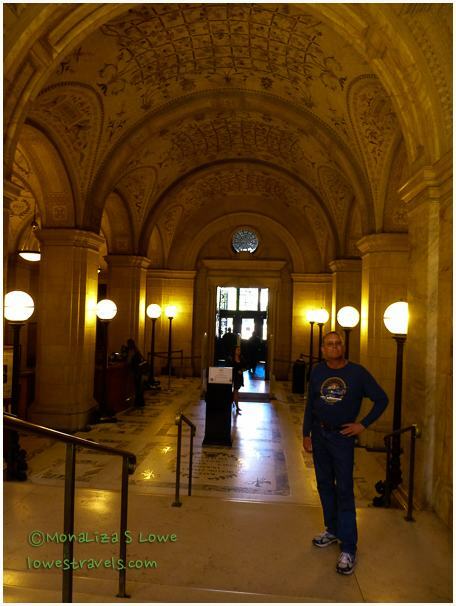 Boston Public Library entrance hall. 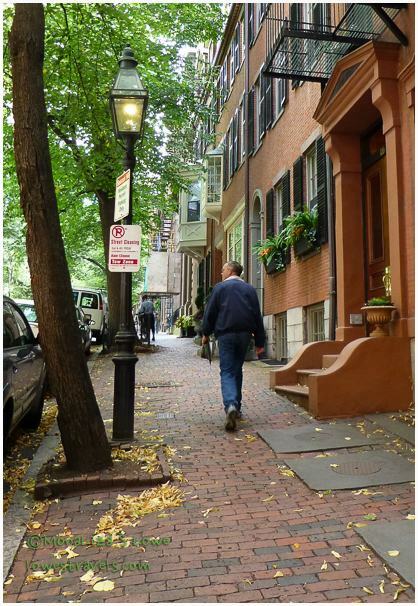 Beacon Hill is a fascinating early 19th century neighborhood with narrow streets. The row houses are nearly all built in brick, streets are paved with cobblestones and street lighting is done via old-style gas lit lamps. Don’t even think about wearing stilleto heels on these streets! 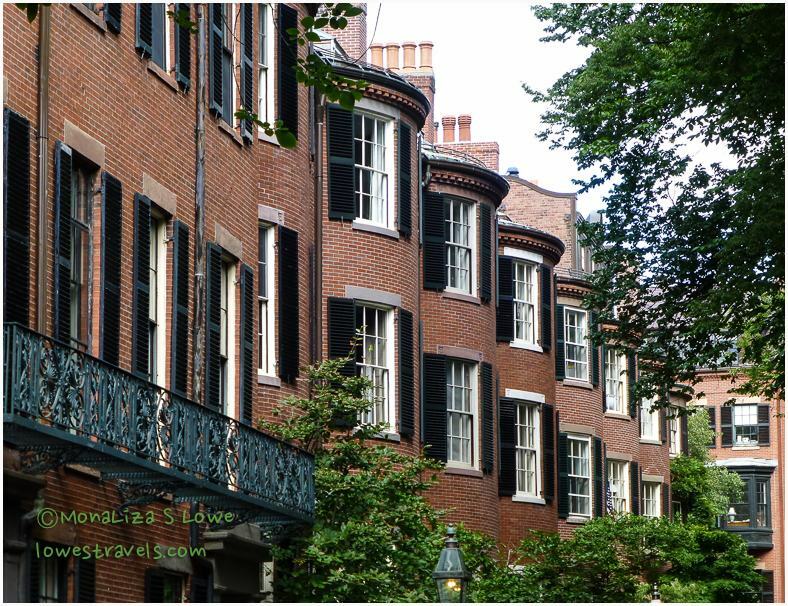 Beautiful brick houses on Beacon Hill – a very exclusive area in Boston. Gas lit lamps adorned the streets. 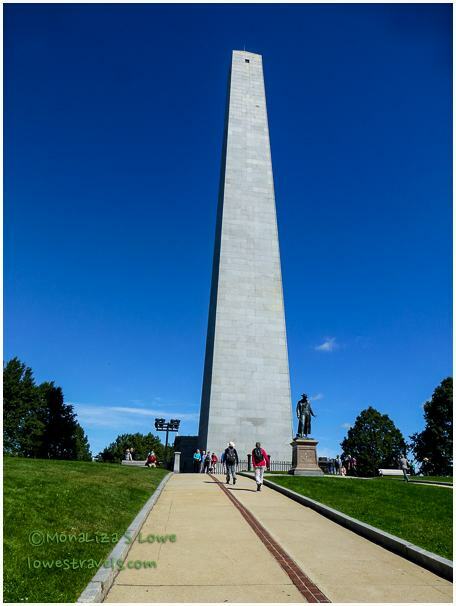 The obelisk that marks the site of the Battle of Bunker Hill was the first obelisk built in America. It was the tallest in the U.S. for a few years, until the Washington Monument overtook it in 1884. 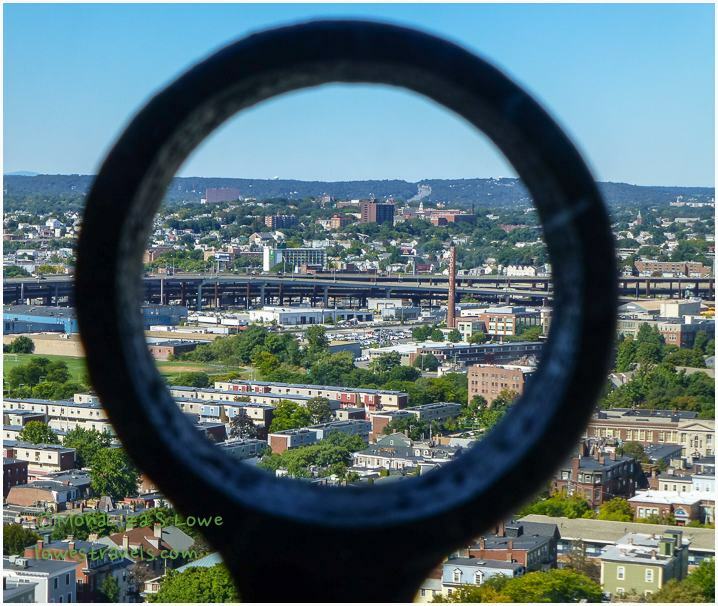 We climbed the 294 steps of the Bunker Hill Monument and were rewarded with awesome views of Boston in all directions. View of the beautiful Zakim Bridge and the Boston skyline. We met up with my girlfriend Sharon, whom I used to work with in California. It was great seeing her again and we enjoyed our short time together. We picked a great historic place to meet for lunch – claiming to be the oldest restaurant in the United States – Ye Olde Union Oyster House. Open to diners since 1826, it was listed as a National Historic Landmark on May 27, 2003. Lunch with Sharon at the historic Union Oyster House. 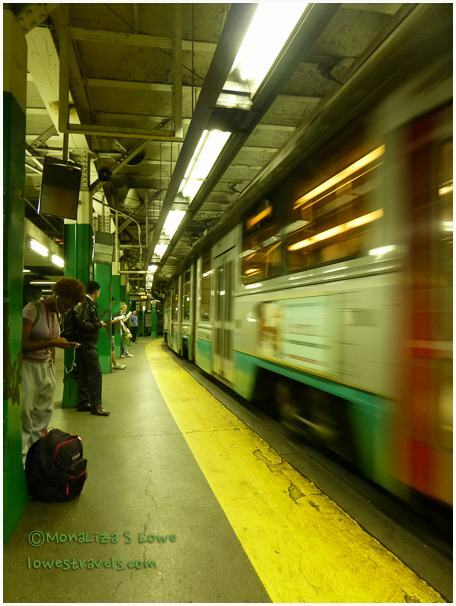 We hopped back on the Green Line of “the T”, Boston’s Rapid Transit System. It was all too soon to bid adieu to one of the oldest cities in America. While visiting Boston we stayed at the Boston Minuteman Campground. 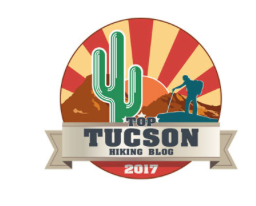 Click here if you are interested in Steve’s review of this nice RV park. I ran up all those stairs at Bunker Hill one time with Jim Daveler, Stephanie Daveler, Bruce Curtis, and Pam Farnstrom Some co-workers from Livermore Lab. We were sore the next day. Afterwards we went to a baseball game at Fenway Park. Then we drove to Vermont and found out there were no rooms available so we spent the night in a rest stop. When we got to Vermont we rode bikes for a week to see the fall colors and stayed at bed and breakfast places. We rode about 70 miles a day and even went up to Canada one day. The only time I’ve been to Boston and Vermont. It is very beautiful there in the fall. Are you going to Vermont next? I will watch the DVD you recommend. Again beautiful photos! Awesome looking city!!! This just proves that you two really know where to go. You’ve been posting about nature’s beauty. But now that you post abput city stuff, you still amaze us with it. I wonder about Boston for long. It really looks so awesome. Thank ou very much for the tour. Got to visit old Boston, it has a vibe on its own. Beautiful pictures, wonderfully framed. I especially like the reflection of the church. 😀 Glad I’m not the only bird-brain around here, Rommel. You guys are funny. My mom also calls me by my sister’s name, so all is good. Such a lovely historical city, Ingrid. The architecture is beautiful, and I love those gas lamps. Our son has them down his street in NJ. That reflection photo was a moment of “omg” that is so cool! We wished we had more time at the library. Beautiful pictures, Mona and Steve! You guys visited many historic sites in the short 2 days! It was so nice meeting you guys for lunch and I wish I could have stayed longer. Next time we will plan a longer adventure together. Safe travels and stay in touch! When we come back the kids will already be teen agers! Steve liked Cape Cod so who knows we may be back someday. Thanks again for your time. Love Boston and all the history it preserves. Can’t wait to go back. Too bad your visit didn’t include a game at Fenway, it is the best ballpark around! Great info. We look forward to a trip down the east coast someday. 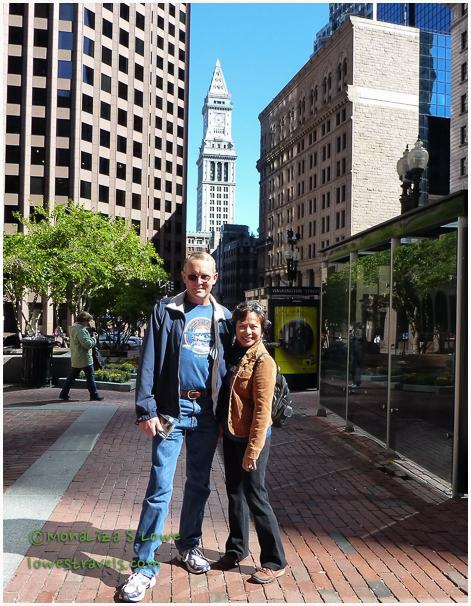 We haven’t been to Boston to play tourist since the our kids were little. Your post makes me think we need to revisit again with fresh eyes. Watching the video series prior to your visit was a great idea. It would definitely help me appreciate what I would be seeing and understand how to put it all in context. Thanks for tour and the beautiful photos! Your welcome, the documentary was a great help not only on this part but also about the civil war where it filled some holes too. 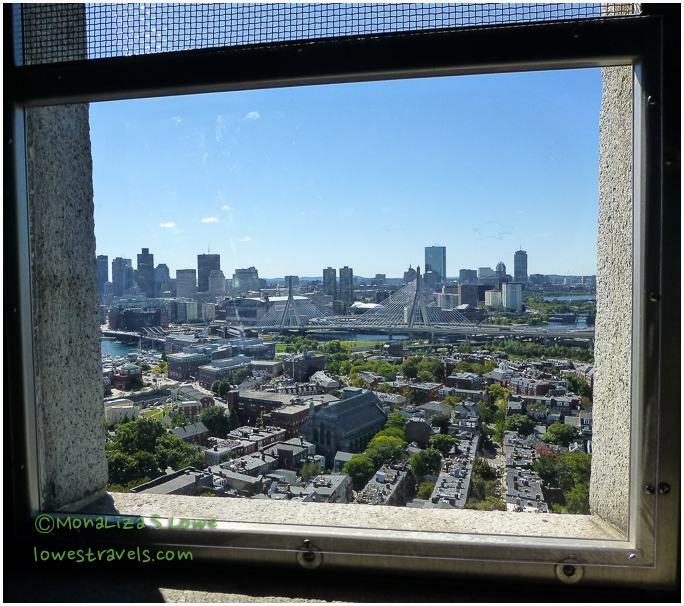 We enjoyed Boston and yes you may want to swing by there if you visit the Maritimes again. We’re back in Boston after a quick week in middle Maine. As you said; it is impossible to take in all of this history in one or two quick settings. You got some good picts. Our visit covered just about the same territory as yours. Have fun. What interesting facts! The architecture is beautiful…I love the old and new! We have never been to Boston. Have this post pinned for the future! I do think it is so neat to read about these historical places and then go visit them. It add so much to the experience. The movie or documentary did help a lot not only on the American Revolution but also on the Civil War stories. And having been in the south also filled in the holes for us. I would recommend that you watch it too.